Today I am researching, reviewing and reading....just thinking...clearing my head and thoughts....hoping to have some clarity, some light and a LOT of GRACE! I am seeking out the Lord, Old friends, family and new friends! 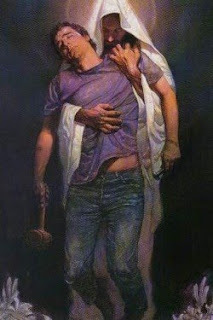 This is how I feel....drained....but I know HE is with me. God will help out...HE WILL WORK IT OUT!